It’s a problem for me to come up with resolutions every year. I lead a pretty good life, I re-cycle paper products & plastic. I exercise fairly regularly. I’m kind to most people and all animals. 2012 I’m resolving to bring more creativity into my daily life. SO! 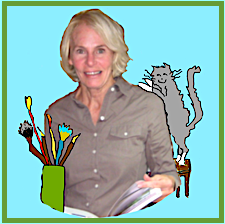 I registered for Journal Art & Memory Keeping with Effy Wild to create a visual journal page daily. NO FEE, NO pressure. I am not holding myself to HAVING to do it every day. First step: You are to pick one word to focus on as the “theme” for the daily pages. I’ve picked LOVE. Second step: Find an old book or journal and create the cover. I decided to re-cycle an old partially used journal for this project. That way I didn’t have to take time to create a journal cover. Although the picture didn’t photo very well you can see it’s generic enough for love. I did pretty good at keeping my 2011 New Year’s Resolutions. It’s good to look back and feel a sense of accomplishment. Loose weight. I lost weight several times. Take better care of myself. I got my hair cut regularly and took showers. Stay on top of my billing and expense accounts. I got on top of the first 7 months last month and my expense records are neatly thrown in a box and maybe other places. Make How -To -Videos for this blog. I’ve thought about them A LOT. Re-cycle and cut down on waste. I put ALL paper & plastic into the re-cycle bin, composted, and turned off the water when I brushed my teeth. All in all 2011 was a pretty good year for resolutions, wouldn’t you say? I think I will keep these same 7 resolutions all over again for 2012. Maybe instead of “love” I should pick “re-cycle”?